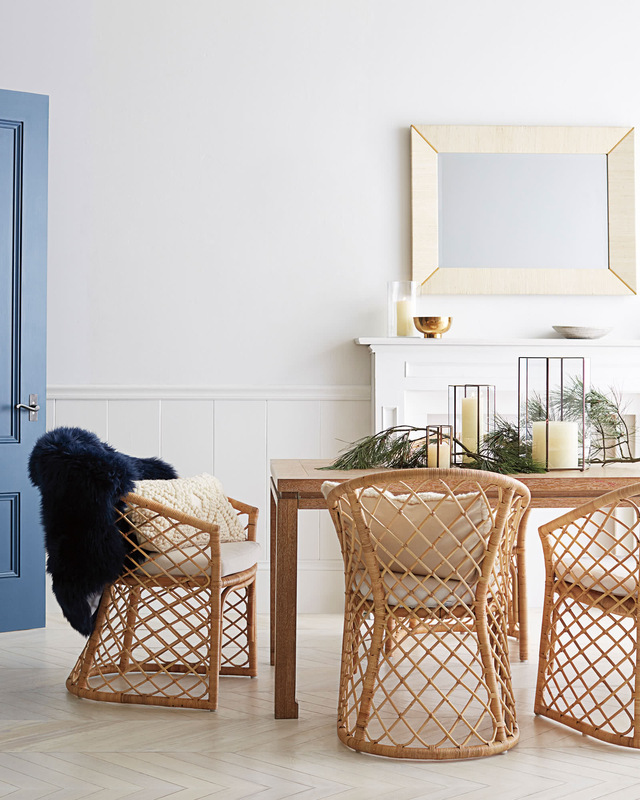 Avalon Dining ChairAvalon Dining Chair, alt="Avalon Dining Chair, "
In-stock Perennials Basketweave White cushion ships within 5-7 days. Made to Order cushions ship within 4-6 weeks. 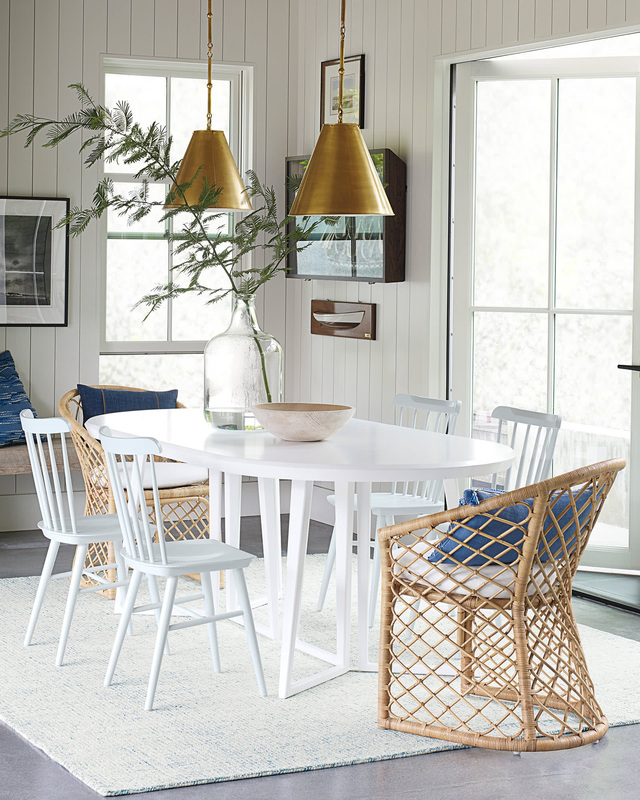 Print This is all about bringing easy elegance to the table. 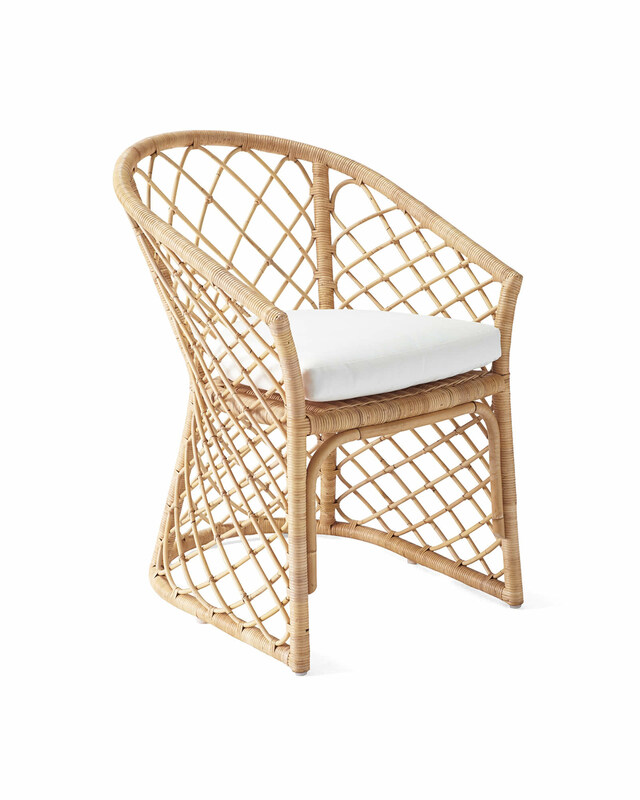 Made of hand-shaped, handwoven rattan, it has a natural beauty that relaxes the room. The slender frame features a slight lean for comfort and a tailored cushion adds a bit of polish. 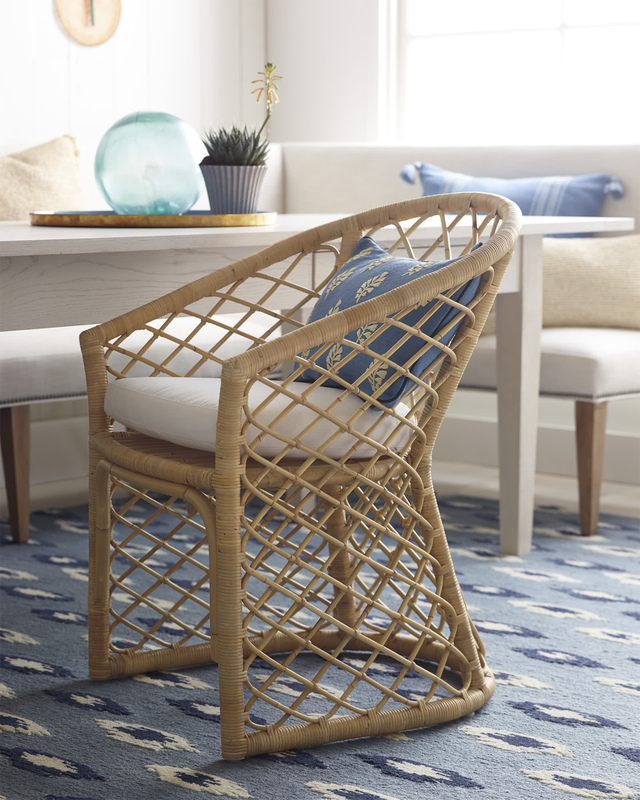 Favorite detail: the graceful swoop of the base, which mimics the look of a skirted chair while retaining an airiness we admire. 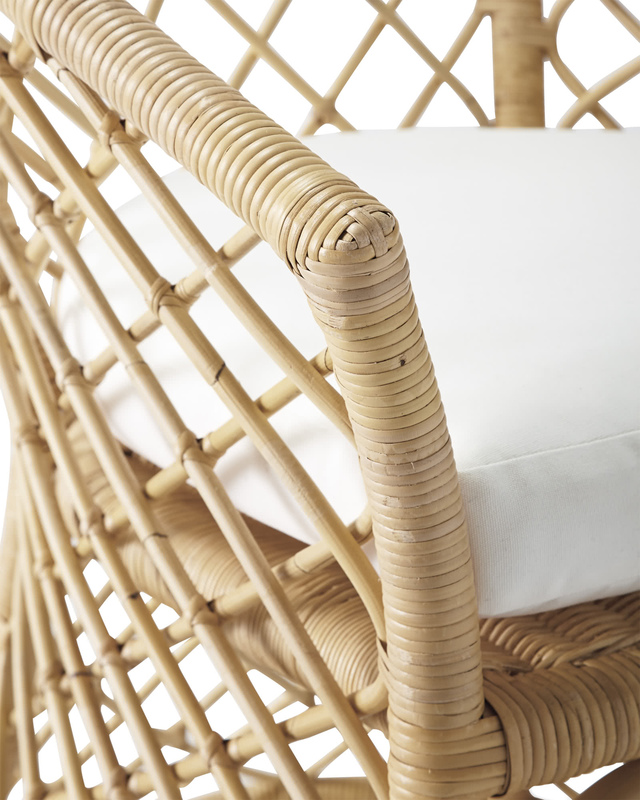 Natural rattan frame with hand-wrapped rattan details. Customize the look with our exclusive performance fabrics. Perennials® Performance Basketweave fabrics have a refined weave and are designed to repel water, as well as resist mold, mildew, and staining. They are guaranteed to resist fading for 3 years. 23.5"W x 26.5"D x 33"H overall. 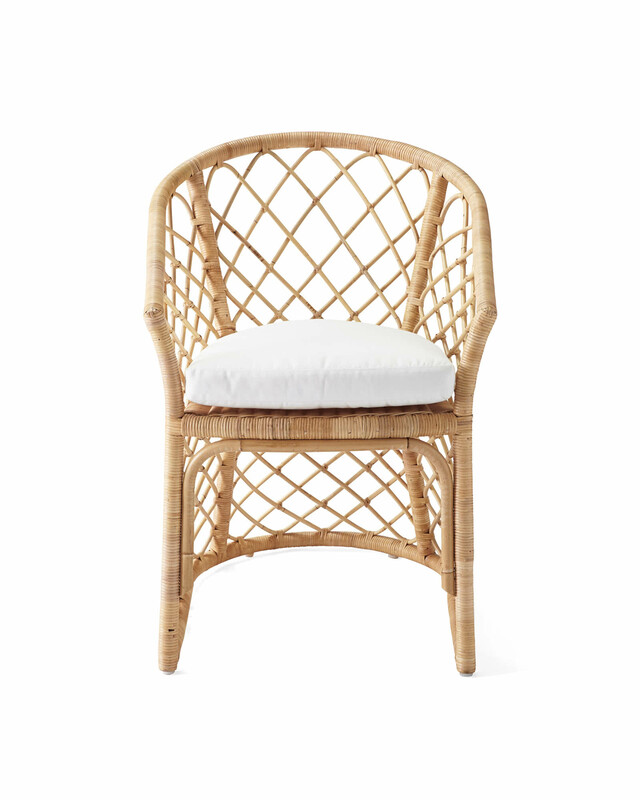 Furniture frames and in-stock Perennials Basketweave White cushions ship via Fedex and arrive within 5-7 days of order receipt. Made to order cushions ship separately via Fedex and arrive within 4-6 weeks of order receipt.